HolidayExtras.co.uk is part of Holiday Extras Ltd and is a UK-based online company providing travel insurance as well as pre-booked UK airport hotels and parking. 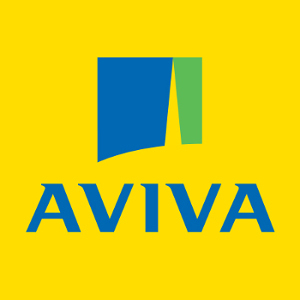 Founded in 1983 as the ‘Apple Booking Company’ (ABC), the company began by offering a small number of three-star airport hotels in London, before selling travel insurance in 1986, and branching out into UK airport parking in 1988. You can get a quote for a holiday extras travel insurance policy online. Holiday Extras travel insurance provides a range of cover options including single trip, annual trip, family cover and over 65s travel cover. Single trip insurance is available at three tiers: basic, standard and premium. 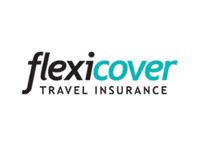 Basic cover comprises £500 cancellation cover per person, £2m medical cover and £500 baggage protection. Standard cover offers £1,000 cancellation cover per person, £5m for medical costs and £1,500 for baggage costs. Premium cover – the highest level of cover – provides £5,000 per person for cancellation, £10m for medical costs and £2,000 of baggage cover. If you declare a medical condition, the medical emergency cover goes up to £15m; cancellation is £5,000 and baggage £2,000. Family cover is available at the same tiers and offers the same limits and benefits, although buying this policy offers better value than purchasing separate insurance policies for each family member. Annual travel insurance is available for the UK, Europe or Worldwide, and comprises three leves: Basic (£2m medical cover; £500 cancellation; £500 baggage), Standard (£5 medical cover; £1,000 cancellation; £1,500 baggage); Premium (£10m medical cover; £5,000 cancellation; £2,000 baggage). Holiday Extras also offers a number of travel insurance add-ons, depending on the nature and destination of the holiday. This includes provision for cruises, skiing holidays, golfing breaks and trips involving adrenaline sports. Right for you? Get a Holiday Extras insurance quote online. What about travel insurance with pre-existing conditions? Holiday Extras works in partnership with Latitude Insurance to provide cover for individuals with existing medical conditions. Most ailments are covered, subject to terms and conditions, including diabetes, cancer, heart conditions, epilepsy, high blood pressure and asthma, although customers will have to complete an online medical screening during the quotation process. How much does travel insurance cost with Holiday Extras? The cost of travel insurance with Holiday Extras will depend on a number of factors, such as the type of cover you require, the duration of your trip, any pre-existing medical conditions, and so on. However, the company has built its brand around offering solid cover at a reasonable price, and is proud of its ability to offer “cheap and reliable” holiday insurance. Note: at the time of writing Holiday Extras include a “Free if you find it for less” guarantee that refunds you if you find one of their products for less. Importantly, the T&Cs state this does NOT apply for their insurance products so make sure you’re happy before a purchase. Annual Basic cover in Europe for a single 30-year-old: £35. Annual Basic cover Worldwide for a single 30-year-old: £55.00. What do Holiday Extras insurance reviews by customers say? Holiday Extra insurance has a score of 7.7 out of 10 on TrustPilot from over 3,000 reviews. 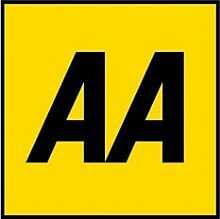 What do Holiday Extras insurance reviews from the experts say? Defaqto – the independent expert reviewer of financial products – has awarded Holiday Extras with three stars for all of its insurance policies, making them ‘standard products providing an average level of features and benefits’. "very impressed with the quote given and was thank full for the assistance given thank you"
Get a quote from Holiday Extras Travel Insurance.